Baking is one of my favourite ways to relieve stress. The routine, order and methodicalness of baking makes it an experience I love. Whether it’s a recipe I’ve made hundreds of times to a new creation I am dreaming of, baking is fun, creative and deliciously yummy! 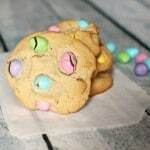 When asked to create a recipe with Betty Crocker or Pillsbury to spread the word about the Bake it Possible contest (details below) I instantly thought of cupcakes but wanted to try something different. Would I create something unique with Crescent Rolls or use a Betty Crocker mix in a way I had not before? While looking at their new Salted Caramel Brownie mix I was drooling just thinking about brownies and I knew I had my answer – a brownie-type creation. 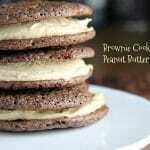 And, these delicious Brownie Cookies with Peanut Butter Filling were born! Place dry mix in a bowl. In a measuring cup whisk together eggs and oil. With a wooden spoon mix thoroughly. 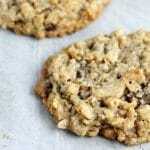 Place tablespoon sized cookies on parchment paper. Place all ingredients in a stand mixer and whip until fully combined. If you want fluffier filling add a pinch of salt at the end and mix one last time. Spread filling on the bottom of one cookie and then pair with a cookie of the same size. Ensure there is enough filling to make it appear like a sandwich. Serve immediately or keep cool until time to eat so filling doesn’t melt. A delicious chewy cookie that tastes just like your favourite brownie! A deliciously sweet peanut butter icing. Add a bit more icing sugar and it can be used to ice cupcakes. It’s an exciting time to be a baker! To participate in the Bake It Possible contest is easy. 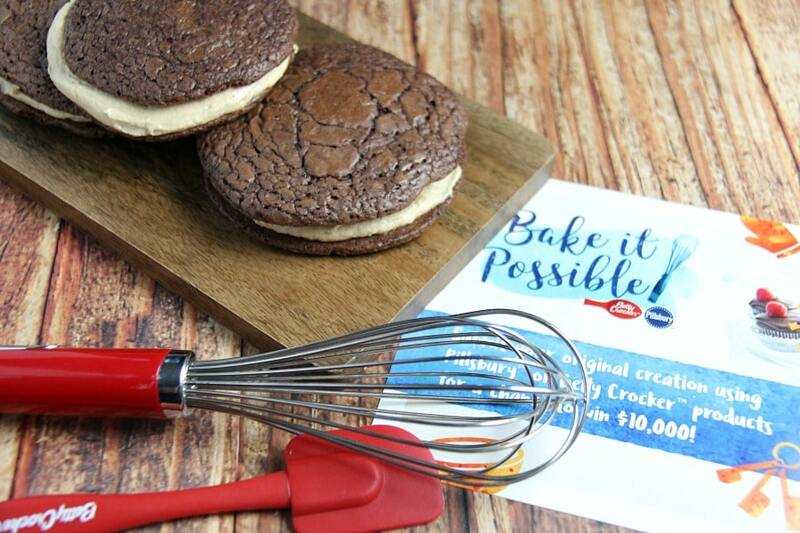 To enter, bake your tastiest creation using one of the participating Pillsbury or Betty Crocker products, take a photo or video and post it on Instagram or Twitter using the hashtag #BakeItPossible, or submit to BakeItPossible.com. The Top 50 semi-finalists will be selected based on taste appeal, WOW factor and creativity. From there, they’ll be whittled down to the Top 10 based on those criteria PLUS simplicity of the recipe. The Top 10 finalists will have their recipes turned into instructional recipe videos and will have a chance to show off their baking prowess as they compete in a live bake-off in Toronto in March, judged by a celebrity panel. The winning recipe will be featured on TV, in stores and online, with the grand prize winner also taking home $10,000. For more information about the Bake It Possible contest including a complete list of rules and regulations, visitBakeItPossible.com. Disclosure: I was compensated for this post. As always, all opinions are my own. I haven’t tried something like this before – baking or eating. I know there will be fan though. This recipe sounds delicious, perfect for the holidays! This looks delicious. I must try it. This sounds good. Another good filling would be nutella-based! Wow, I can just imagine how good these cookies taste. Thanks for sharing. These look really really good!! What….Brownie Cookies. Am I in heaven? My family would go crazy for these. This is another recipe that I will have to try. Sounds like something my family would love. 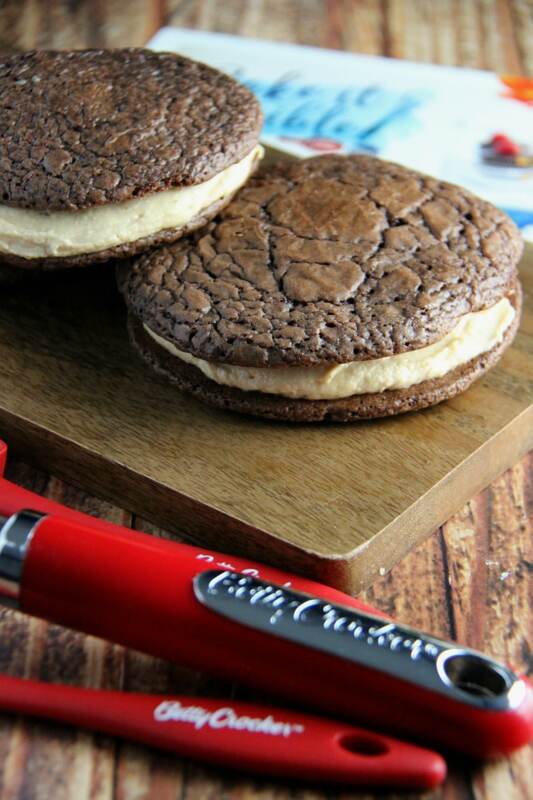 Oh boy, the perfect combination of chocolate & creamy peanut butter, can’t wait to try it! 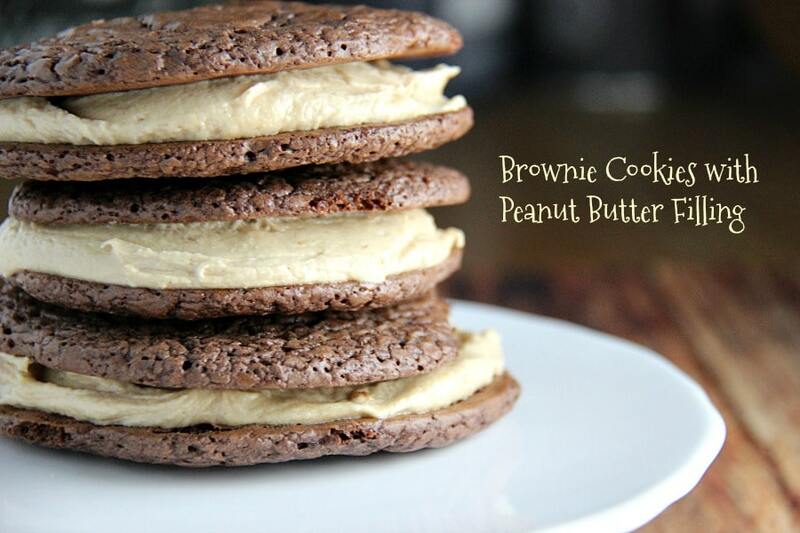 Not a fan of peanut butter, but the brownie cookie part sounds really good. i have never made cookies from a Brownie Mix! They sure do look delectable! 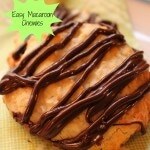 My son is a peanut butter lover and would love these..chocolate with peanutbutter what a perfect combination! thank you for the recipe! Adding this to my list! 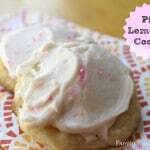 We’re always looking for yummy recipes we can bake together and my girls will love this one! These look so, so good. They look like they’re just the right texture of soft and chewy. This looks so good! 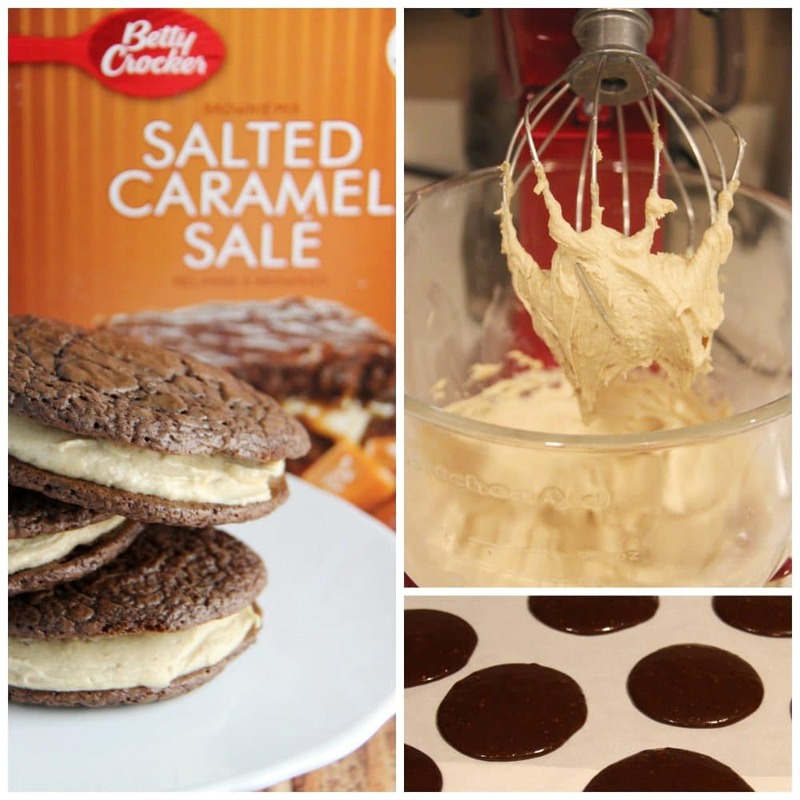 Do you use the caramel pouch in the cookie mix when you mix in the wet ingredients? Thanks for sharing! I didn’t use the caramel pouch at all. You could use it for a topping though! Then why purchase this kind of brownie mix! You could buy regular but the caramel pouch would be great for topping the cookies. First of all, it makes no sense to use salted caramel brownie mix if you aren’t going to use the caramel. Secondly, this in no way makes 16 completed cookies. A bit disappointing. Sorry to hear you weren’t happy with the recipe. We chose to leave the salted caramel out because it didn’t fit with our recipe. You are welcome to use it or use a regular brownie mix. In terms of the completed cookies we made small ones. Perhaps use two mixes if you’d like larger cookies.